Damaged, old gutters or new house, our custom gutter cutter will ensure proper fitting that's backed by a life time warranty. 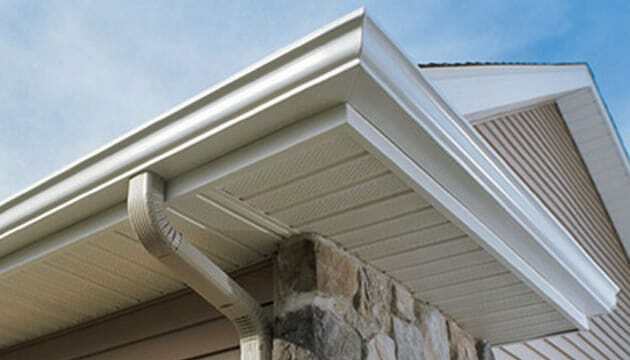 The seamless gutters can be made to fit all shapes and sizes. 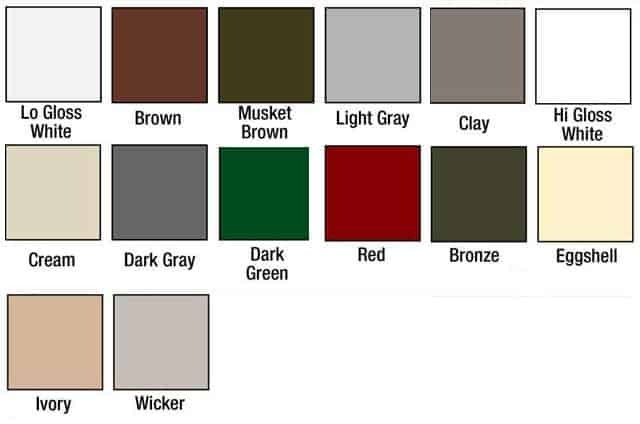 Our custom gutter colors will compliment your existing homes appearence. Expert installation will establish lasting protection from the elements. Earthquakes, floods or acts of war are not covered by most homeowner policies. Damage to gutters caused by neglect or age can cause exclusion too. So, the main determining factor in coverage is what caused the leak or damage. In Colorado, hail or windstorm damage is a main cause of roof damage and leaks. Insurance is likely to cover replacement or repairs. Our experts, with over 20 years of combined experience, are here to help you with your insurance claims. While were there, we'll inspect your shingles & flashing, attic, ventilation/insulation, gutters & downspouts and soffit & facia. All for free.